Welcome to the June Edition of From the Vicar. June will open with the third official visit to All Saints by our new Diocesan Bishop Pete Wilcox. Bishop Pete chaired his first Diocesan Synod here last November and presided at our confirmation service on 8 April. But having had to postpone in Lent because of the snow, we look forward to welcoming Bishop Pete back at 7.45pm on Thursday 7 June. His talk is entitled ‘Mutual Flourishing in a place of disagreement – what does this have to say to the world’. Given the profound disagreement about women bishops within Sheffield Diocese and across the wider Church of England, this will be an important evening on a very contemporary issue. Please publicise this widely and invite your friends. Also listen out for my interview with Sarah Major about ‘Mutual Flourishing’ on BBC Radio Sheffield on Sunday 3 June. There will be a PCC Open Morning on Saturday 9 June, 10.00am – 1.00pm in the church building. Everyone is invited. A key part of my presentation at the APCM was an update on the PCC’s thinking about a possible extension to the church building. We are still very much at the beginning. But are now ready to share our conversation with the wider congregation. More than that we want to work with you to develop our vision for the church building we need as a multi-generation church family. Together we will need to start asking: Is this the right vision for the building? What are our needs? What about the cost? What about the halls? What about the crypt? What about the community provision at the new Clifford All Saints School? How do they all fit together? I am really encouraged by the conversations that I have enjoyed with different members of the church family. These have been alongside those with the wardens, PCC Executive Committee and staff. In the midst of the excitement a consensus seems to be emerging. Firstly amongst both those who are for and against an extension to the side of the church building, there is recognition that this will be a big undertaking and will involve a lot of consultation over a number of years. And secondly there is a growing groundswell in support for developing the crypt first. Indeed a number of people have argued that we won’t know quite what we need in a side extension until we have developed and started using the space in the crypt. I hadn’t even thought about developing the crypt until last autumn when it very clearly emerged as a key matter for investigation for the PCC. Now, I am excited by the possibility of having three meeting rooms, some toilets, a coffee point and lots of storage there. Nonetheless it is important to stress that no decisions have been made and that the wider conversations are only about to begin. For the moment ending with ‘watch this space’ seems very appropriate. A number of you have also wanted to talk to me about the new Clifford All Saints C of E Primary School. It will be very much a new school working across two sites, Psalter Lane and Ringinglow Road. We hope that the new Bishop will dedicate the school in September. The Ringinglow Road site will be closed for the autumn term for building work ready for a formal opening in January 2019. Alongside this, the new Ecclesall community primary school will have opened on the site of the old Ecclesall Infants. Much of the new community school will be a brand new building. 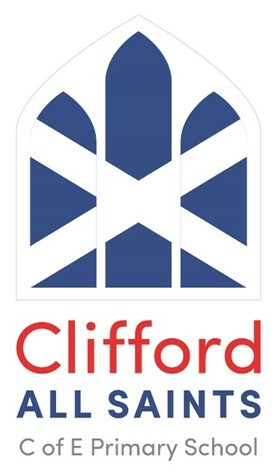 So Clifford All Saints will be working hard to ensure that the Ringinglow Road site offers its children an equivalent high quality learning environment. Partnering with St Andrew’s Psalter Lane church council, All Saints PCC have agreed to raise a £10,000 gift to help upgrade the facilities at the Clifford All Saints Ringinglow Road site. Currently we are working with the Head Sue Preston to finalise a project for us to support. Once we have chosen it, we will ask parents past and present whether they would like to contribute. In the meantime I hope that you like the new logo. It is a wonderful combination of the All Saints windows and the cross of St Andrew. Coming closer to home it is now over 7 months since our new Pastoral Team was established under the leadership of Dan Christian and Sue Blaby. Very quickly it has become an important part of the pastoral life and ministry of All Saints. Quite wonderfully we now have over 20 church members involved in long term visiting of those who need regular home visits. The purpose of the team is to visit and support those who can’t make it to church or those with a long term health need. Sue Blaby and Dan Christian have been pleased and a little overwhelmed by the support of the church family for one another. If you would like to be involved or if you are aware of a church family member who needs regular home visits please don’t hesitate to contact Sue or Dan. They would be delighted to hear from you.